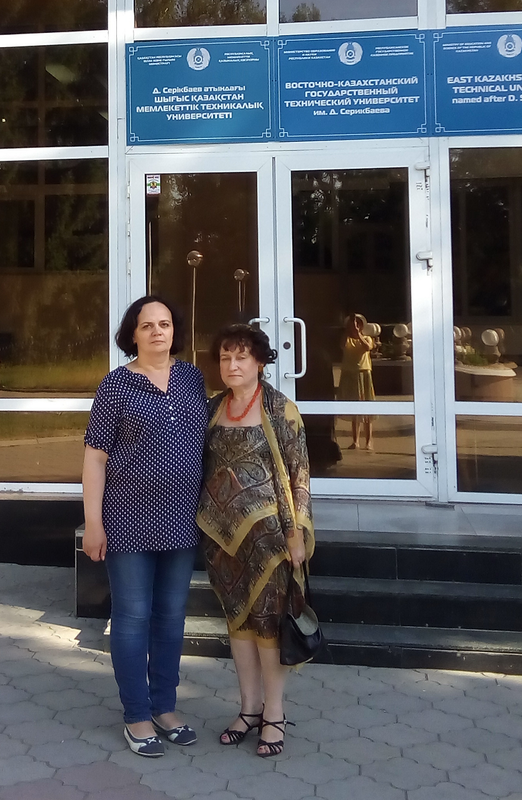 Head of the Department of Foreign Languages ​​of the Faculties of Natural Sciences of the AltSU, TV Skubnevskaya together with a senior teacher of the Department of Physics and Technology, EKSU them. S. Amanzholova E.P. Shevchuk created a pilot version of the e-learning methodological complex "Development of listening skills in students and undergraduates." The complex was successfully tested in S. Amanzholov EKSU and is used today both in the independent work of students and in the individual work of undergraduates at the Faculty of Physical and Technical Information of AltSU. In addition, in the framework of academic mobility under the guidance of a senior teacher of the Department of Physics and Technology at S. Amanzholov EKSU E.P. Shevchuk delivered a course of lectures on “Using modern techniques and IT technologies for developing classes”, in which she shared the experience and knowledge gained by her, in turn, at the Republican Institute for Advanced Studies of Senior and Pedagogical Cadres of the Education System of the Republic of Kazakhstan NCP "Orleu" in Almaty. Along with this, the head of the department of the EF T.V. Skubnevskaya visited Ust-Kamenogorsk, visited S. Amanzholov EKSU, where she met with the candidate of pedagogical sciences, the vice-rector for SRiNR work I.V. Rovnyakova. During the conversation, the parties' intentions to cooperate between universities and departments were emphasized. The Department of Foreign Languages ​​of the Faculties of Natural Sciences of the AltSU is engaged in the research project “Modern Studies in the Teaching of Foreign Languages ​​in a Non-Language University”, publishes a scientific-methodical journal, indexed by the RISC, under the same name perspectives of teaching foreign languages ​​in the Eurasian educational space ”. Periodical scientific publications of the department are of interest to the professional community, both in the Russian Federation and abroad. 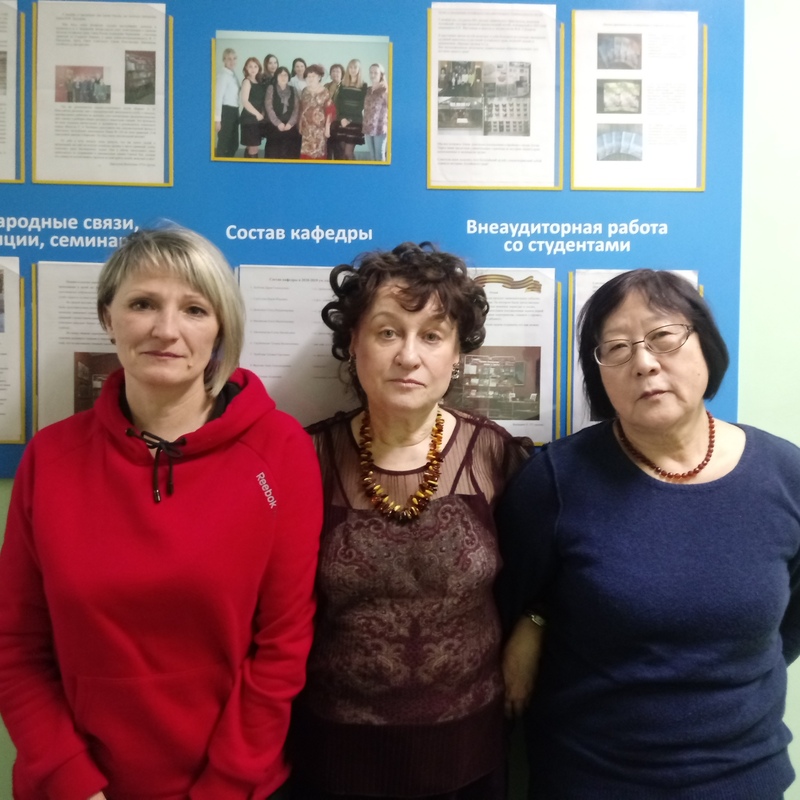 Permanent partners of scientific and methodological projects of the department of the Institute of Nuclear Physics EF are colleagues from Ust-Kamenogorsk.